Nonprofit boards take various approaches to the role they play in the organization’s human resource (HR) activities. Some boards adopt a complete hands-off approach to the organization’s HR activities, while others expect full participation in the hiring of staff positions supervised by the chief executive. A complete hands-off approach hampers the board’s oversight responsibilities, while overactive board participation in HR can drift into micromanagement and diminish the chief executive’s authority. It’s important to strike a balance between the governance and the management activities of the human resource functions in the organization and for everyone to be clear about lines of responsibilities. How this balancing act looks depends upon the size and type of organization and the experience of the chief executive and board members. Perhaps the greatest challenge in this area is that most board members have a better understanding of human resource management than they do of its governance side. It’s often much easier to understand the work of direct supervision of employees, than it is to understand developing the policies that support the management responsibilities. Providing good support to the organization’s chief executive requires the board to understand its responsibilities and fulfill its oversight role by assuring that the organization has up-to-date, comprehensive, legally compliant HR policies and procedures for the chief executive to use. Here are some ways for the board to fulfill its responsibilities and strike a balance between the functions. Even organizations with only one employee need personnel policies and some kind of employee manual. Employment policies and procedures guide the organization to treat all employees in a fair, equitable, and legal manner. It is the board’s responsibility to ensure that such policies and procedures are in place. Once adopted, these become a management tool and the chief executive becomes responsible for their adherence throughout the organization. Because employment laws change from time to time, the board should review its HR documents regularly and update as necessary. The board should consult with the organization’s attorney to ensure that all policies and procedures are legally compliant. Asking the full board to develop or review necessary policies and oversee HR activities is cumbersome and time-consuming. Working with a committee or taskforce that includes staff representation—often the chief executive or other senior leader—along with board members and supporters from the community can be a more efficient approach for the board to use in addressing some of the tasks necessary for HR governance. Such a committee allows the board to engage its members and other supporters with expertise in personnel issues in the work of the organization. A committee also helps ensure that the board exercises its HR governance functions in a timely fashion. Naturally, it’s important the board does not cede its oversight responsibilities to the committee. The board remains responsible for providing direction for all committee activities and for reviewing and adopting any policies or procedures that the committee develops. In most organizations, the board hires and supervises the chief executive, and the chief executive is responsible for all other staff hires. In some cases, using the expertise of board members to help in the screening of job candidates can be useful in providing important perspectives to the chief executive. In the rare cases in which board members help interview and advise on a staff hire, it should be recognized that the members involved are simply serving as advisors to the chief executive and that staff—not the board—is responsible for the final hiring decision and subsequent supervision and evaluation of the employee. Hiring and supervising staff is a time-consuming responsibility for the organization’s chief executive. 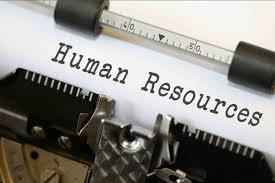 Ensuring that the board is fulfilling its HR governance role by providing appropriate policies, procedures, and oversight while not crossing into the HR management functions of hiring, supervising, and evaluating staff, provides support to the chief executive in this important, but often challenging, task. A version of this piece first appeared in the Corridor Business Journal.